Nickelback is a Canadian hard rock band formed in Alberta in 1995. Comprising of lead vocalist/rhythm guitarist Chad Kroeger, guitarist/keyboardist/backup vocalist Ryan Peake, bassist Mike Kreoger and drummer Daniel Adair, Nickelback is widely regarded as Canada’s most commercially successful music group with more than 50 million albums sold worldwide to date and garnering a total of 32 awards with a total of 78 nominations in global publications and events. Described by many as a hard rock or alternative metal band, the band has found initial success with the mainstream audience for its use of catchy hooks and raw passion in contrast to their peers. However, they have been under scrutiny lately for being repetitive with their newer material and sounding extremely generic instead of innovating and bringing something new and fresh to the playing field. Originally starting as a cover band in the 1990s named “Village Idiots“, Kroger along with his brother and Peake released their first full length album “Curb” (which was later re-released by Roadrunner records in 2002). The album garnered acclaim in the underground scene to the point that one of the self released copies of the album found its way to Roadrunner Sr. VP of A&R Ron Burman, who was impressed enough with the band’s efforts and came to see them for himself to Vancouver to attend one of their shows. Burman was immediately pleased and got the band a record deal with EMI and Roadrunner Records in 1996. As a result, Nickelback released a new album under the Roadrunner label in 2000; “The State“. Singles like “Leader Of Men” and “Breathe” managed to crack into the Top 10 rock hits, charting in at number 130 on the Billboard 200 albums chart. The band followed this up by releasing their critically acclaimed “Silver Side Up” in 2001. The album spawned mainstream rock hit “How You Remind Me” which quickly became a number one single on mainstream and modern rock charts. Within a week of its release, the album reached the second position on the Billboard 200 and sold over 177,000 records worldwide. A year later, the band also released their first live DVD, “Live At Home”. Nickelback continued their success with the release of “The Long Road” in 2003, which was certified 3x Platinum by the RIAA in 2005 and it sold more than 3,591,000 copies in its lifespan. Despite having gone through a total of three drummers in the past four years, former 3 Doors Down drummer, Daniel Adair joined Nickelback in 2005 and helped release the band’s fifth studio album “All The Right Reasons“. The album produced the chart topping singles “Savin’ Me“, “Photograph“, “Far Away“, “Rockstar” and “If Everyone Cared“, all of which are now considered as signature Nickelback songs. The album sold around twelve million singles and topped numerous charts, such as the Canadian album charts. 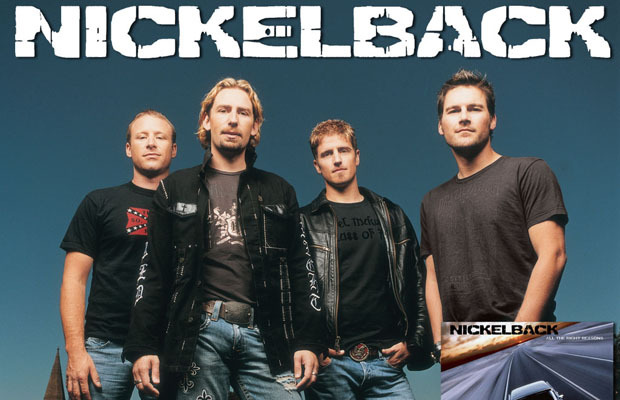 The success of “All The Right Reasons” made Nickelback the first band in Nielsen BDS history to have a total of five singles on the CHR charts. The band launched a worldwide tour to support the album in 2006 – 2007, generating 2 million tickets sale. Kroger was however, arrested in June 2006 on the ground on drunk driving in Surrey, British Columbia and proceeded to plead not guilty. 2007 saw the group being inducted into the Canada’s Walk Of Fame. After their subsequent tour, the band signed on with Live Nation and produced the album “Dark Horse” in 2008. Despite the album being certified two times platinum in 2009, and having sold over 3 million copies in the United States and a tour which was very successful with over 1.6 million tickets sold, reception towards the album has been very much mixed to negative. After finishing the “Dark Horse” tour in October 2010, Nickelback returned to the studio and released the seventh album “Here And Now” in 2011, with an attempt to return to their more organic roots. Reception was once again mixed, with the group playing numerous halftime shows for promotion of the album. However, the news that Nickelback would perform at halftime in Detroit was met with heavy opposition by fans, believing that a Canadian band should not be playing a halftime show for an American sport and that Detroit’s musical heritage would be damaged by an association with the band. This accumulated to an online petition proposing that Nickelback be removed from the game and received over 55,000 signatures. Nevertheless, the band still performed despite a sour crowd. In 2014, it was announced the Nickelback would sign on to Republic Records and release their eighth studio album, which was later revealed as “No Fixed Address“. Only two singles “Edge Of A Revolution” and “What Are You Waiting For?” were released to the public, receiving mixed responses. The album on the whole has received a rating of 54 out of 100 from Metacritic and response from fans has been rather lukewarm itself. As of currently, the band is touring worldwide in support of their current release.